Microsoft abandons Windows Media Center in Windows 10 so there is no built-in option to play DVD anymore. While Microsoft has released a new app called Windows DVD player to watch your favorite DVD but it costs $14.99. For many people who are using Windows 10, this change is not so friendly as they have to pay more money on the computer with the latest operating system, yet it doesn’t have the basic feature like playing DVD. Windows 7 or the older versions still have the features, after all. Instead of paying for Windows DVD player, more people are more inclined to use a free DVD player Windows 10 replacement. Here we test and select the top 5 free DVD players for windows 10. You are sure to find the best option in this article. 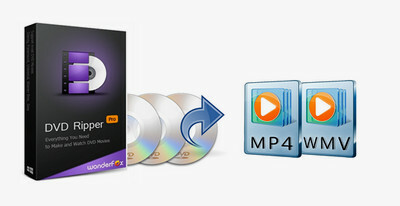 WonderFox DVD Ripper Pro is a professional DVD copy software. It can remove CSS, Region Code, Disney X-Project DRM, and other latest copy protections, convert DVD to digital videos and quick copy DVD to ISO/DVD folder with 1:1 flawless content. When we mention the best free Windows 10 DVD player, VLC Media Player should always be the most qualified one. It’s totally free, portable, reliable and skillful. The powerful program enables to play kinds of multimedia files, DVD disc, Audio CDs, VCDs, ISO image as well as DVD folder. Free download VLC from Videolan official site and install it on your PC. The install process is fast and it will not require you to install any irrelevant software or plug-ins. Once you’ve successfully installed VLC on your PC, you can set it as the default player and insert DVD disc. Besides playing multimedia files and DVDs, as the best DVD player for Windows 10, VLC can also help you to convert videos and download online files. Among kinds of free DVD players for Windows 10, Daum's Pot Player has impressive performance and it makes use of the advanced DXVA, CUDA, QuickSync for faster process speed and less resource-consuming. 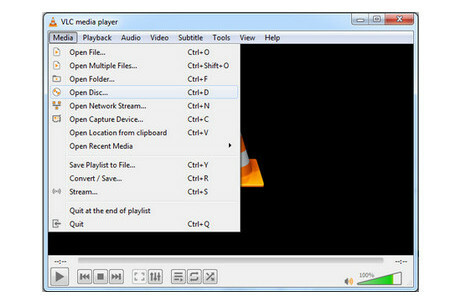 Daum's Pot Player can play DVDs, Blu-rays, and different types of video as well as audio files. It also supports various types of 3D glasses and several specific 3D video output formats so you can enjoy 3D videos fully. Moreover, users are able to add a needed codec to play more videos since Pot Player supports OpenCodec. 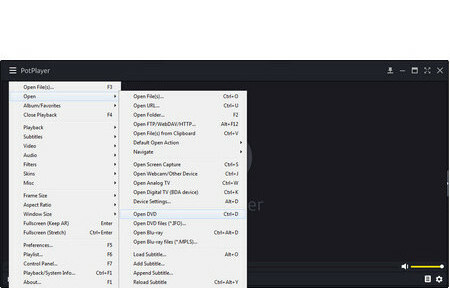 To play DVD on computer using this program, after installing it on your PC, launch the player and click on the menu icon in the upper-right corner, then select Open > Open DVD. 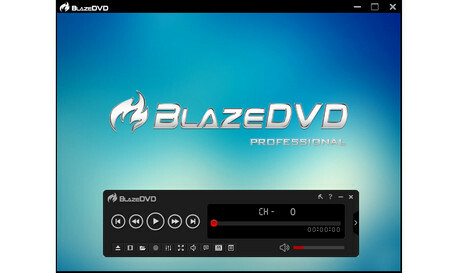 As its name suggests, BlazeDVD is a special Windows-based software designed to play DVDs and also popular videos. There are two versions users can choose from – the free version and the professional version. Typically, the BlazeDVD Free can meet your demands of playing DVD on Windows 10. The program is full-featured and its navigation bar provides many useful options, such as changing aspect ratio to 16:9, modifying screen color, mute a video and so forth. Yet at the same time some users may feel those options are too complicated to understand or handle. After you install the Windows 10 DVD Player on your PC and pop a DVD into your DVD-ROM drive, run BlazeDVD and press the Folder icon to open DVD source. 5K player is another good media player as well as one of the best free DVD players for Windows 10 featuring with high definition videos playback support and helps you to watch DVDs and even online radio stations in an easy way. 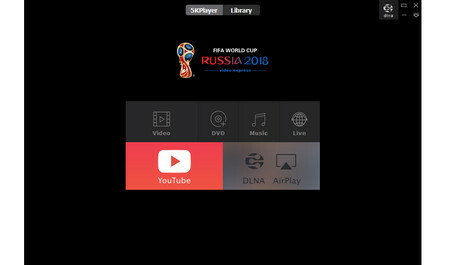 It performs more than a media player, but also a multimedia files streaming tool to wirelessly stream audio/video via AirPlay & DLNA flawlessly and an online video downloader. The steps to play DVD on PC with the free DVD player Windows 10 are quite simple. Just install and launch 5K player, create an account free for all features, then insert your DVD disc and click on the DVD button on the main window of 5K player. Finally click on OK to start playing DVD. GOM Player Free is a totally free video player that can play not only virtually all popular videos like AVI, MP4, MKV, FLV, WMV, MOV and more, but also DVDs, and CDs. The exclusive feature of sharing and downloading subtitles through its library and the link with OpenSubtitles.org is useful if you want to watch a specific subtitle when playing DVD. However, there are some ads on GOM Player Free, which impacts the user's experience. Besides, the improper settings would lead to DVD not playing issue. Despite that, GOM Player Free is still a good free alternative to Windows 10 DVD Player. After inserting DVD disc into DVD drive, then run GOM Player Free and right click on the window, select Open and go to Default DVD Drive. You can also play IFO files. 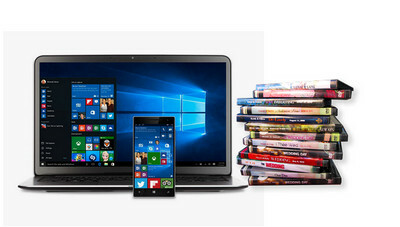 Now you’re able to free watch DVD with the most suitable free DVD players for Windows 10. Please note that due to copy-protection or other factors, sometimes you may fail to play a DVD. In this case, you can use a good Windows 10 DVD ripper to remove copy protection and convert DVD to digital so that you’re able to play the converted movie files on PC and even mobile devices without hassles. Here I highly recommended WonderFox DVD Ripper Pro. With this tool you are able to convert any home-made and commercial DVDs to almost all popular video formats, copy DVD to computer, TV, mobile devices, etc. and also 1:1 quick copy DVD to ISO image and DVD folder for backup. It’s clean, simple and skillful.